Clair has years of experience performing inspections and working as a Quality Assurance Manager; a position that requires a very high level of attention to detail and a commitment to quality and safety. Prior to this, he worked in various construction roles and has custom built several homes. His knowledge in construction, a thorough understanding of monitoring and performing inspections and awareness of the importance of audit and evaluation, are skills Clair brings to his clients as their home inspector. Both Clair and Jeff, having been born and raised in PEI, are familiar with the unique aspects of the island and its people. "We provide a thorough, detailed and valuable home inspection service for our clients." With a commitment to quality and customer service, Clair and Jeff ensure clients fully understand the home inspection process and have confidence in the reported results. "This helps to ease some of the anxiety that can go along with making one of the single largest purchases many people will make in their lifetime." Serving the communities of Montague, Summerside, Charlottetown, Chelton, Tignish, Cavendish, Kensington, Rusticoville, New London, the entire island of Prince Edward Island. 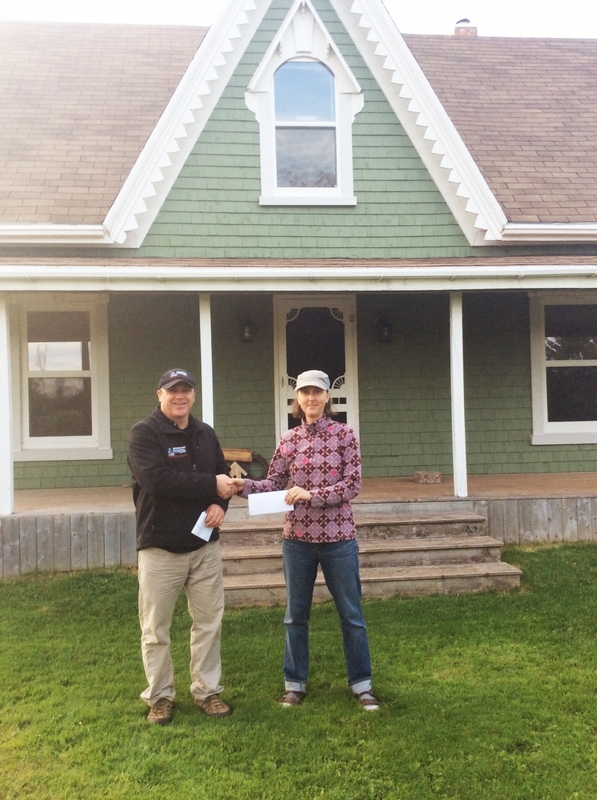 Karen Hachey, October 2015 "Win Your Inspection Free" contest winner.